In the news this week: discrimination in pay hits women when they have children and continues for years. Newsflash: most of us knew this already, whether through bitter personal experience or whatever. However, the focus on the ‘pay gap’ (it features highly in feminist politics) can often feel like a misdirection. If we are talking about the imbalance in the way in which women are treated in, and the value placed on, the work we do, we could look no further than the crucial work of care. When we take that in, an even more skewed picture emerges – one that shows that women are economically penalised for having babies whether we remain in or leave the paid economy. This is a fundamentally feminist issue. With this in mind, something I discuss in Liberating Motherhood is the need for a rethink of this issue to include not just ‘the pay gap’ but the ‘income gap’ for women. After all, there are many women who continue to work after having children – we have simply become unwaged, unvalued carers in the second, core economy or we work jobs with the second shift on top. Many of us desperately want to care for our children but this ‘income gap’ prevents us from doing so – forcing us out into the workplace; many others are caring for our children happily but struggling by financially in order to do it. P.S. I like this picture attached to this post – the message it speaks to me is ‘what value to place on Care with a capital C’. Liberating Motherhood out 23 September 2016 from Womancraft Publishing. 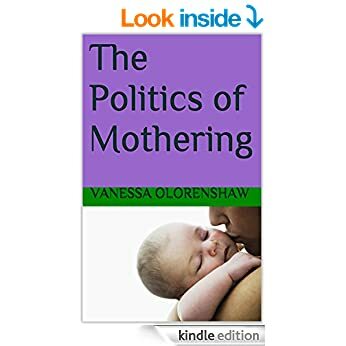 Available for pre-order now at http://www.womancraftpublishing.com/liberating-motherhood.html. I'm a mother and a feminist. I probably have snot on my sleeve.